The 3rd and final European Monitoring Conference “Work-based Learning 2020” of the network NetWBL took place from 28 to 29 June 2016 in Berlin. The contribution of work-based learning in supporting youth employment and economic competitiveness is widely recognised. Countries with strong and attractive Vocational Education and Training (VET) systems, and notably those with well-established apprenticeship systems, tend to perform better in terms of youth employment. Therefore NetWBL aims to strengthen work-based learning (WBL) elements in existing VET systems and Higher Education and to support apprenticeships in particular. The main output of the network is the WBL – TOOLKIT (www.wbl-toolkit.eu) which makes results of EU funded best practice projects from Lifelong Learning Programme and Erasmus+ Programme on this topic more visible. NetWBL addresses the key actors involved in WBL in each European country taking into account the different VET and Higher Education systems and legislative regulations. 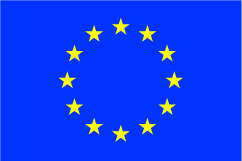 Furthermore, NetWBL supports the European Alliance for Apprenticeships. “What happened in the world of WBL?” and “What are trends in the future?” were the leading questions of both conference days. More than 220 participants from 29 EU countries were actively engaged in exciting discussions about developments in WBL and needs for the future within the framework of the European Skills Agenda. The participants represented the European Alliance for Apprenticeship (EAfA), enterprises, social partners, education providers, as well as national and European politics. Representatives of the European Commission, of the CEDEFOP, and of the EACEA provided background information about the topic WBL. A wide range of transnational projects were presented and their project results discussed in workshops and on the “market place”. The conference ended with precise recommendations regarding the further design of the Erasmus+ programme.